Otis Instruments is proud to announce that the OI-6000-IR-152 Explosion-Proof Ambient Air Combustible Gas Detector is now CSA C22.2 No 152 & ANSI/ISA-12.13.01.2000 certified. The CSA International certification marks indicates that our product has been tested to a Canadian or U.S. standard and meets the requirements of an applicable CSA standard or another recognized document used as a basis for certification. This test ensures quality and safety. The Otis Instruments, Inc. (Otis) GEN II Model OI-6000-IR-152 Explosion-Proof Ambient Air Combustible Gas Detector is designed to detect a wide range of hydrocarbon gases in potentially hazardous environments. This product is CSA certified as Class I, Division 1, Groups C and D and rated for Class I, Zone 0, Group IIB. 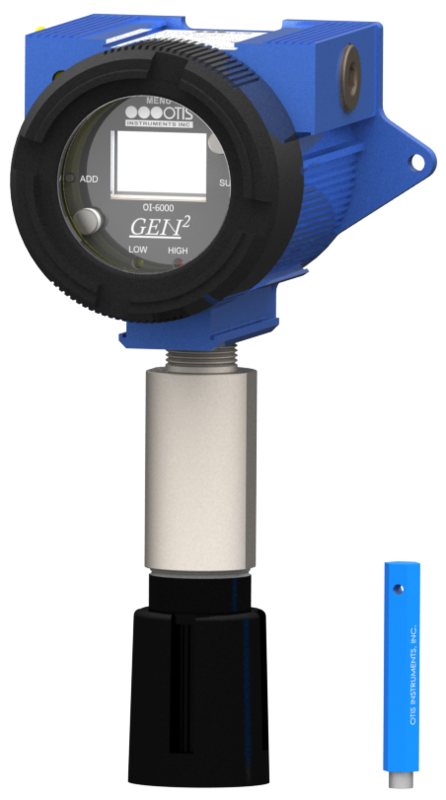 The OI- 6000-IR-152 features non-intrusive magnetic switches that allow for complete system configuration, regular calibration, and product maintenance to be performed in the field, without opening the device and breaking the moisture seal of the enclosure, thereby compromising the explosion-proof rating of the device. Non-intrusive interface with the OI-6000-IR-152 is made possible by use of the Otis Magnetic Tool included in the purchase of the device.